This is the 14th article from 中文天天读. 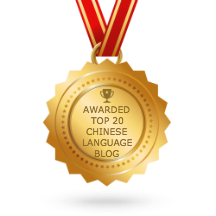 In “因为A，所以B”, both “因为” and“所以” are conjunctive words. “因为” is used at the beginning of the former clause, and “所以” is used at the beginning of the latter one. They indicate “a causal relation” with A as the reason and B the consequence. As pandas are rare, cute, and only exist in China, people say they are the “national treasure” of China. “而且” is a conjunctive word used to indicate “moreover”. It’s often used to connect adjectives, verbs and clauses, etc. As pandas are rare, cute, and only exists in China, people say they are the “national treasure” of China. Have you ever seen a big panda? Do you like big pandas? their round heads are very interesting. They can climb trees. Their action is very slow.